The key component in lithium-ion batteries saw its price skyrocket last year, jumping roughly 60%. And investors who got in early enjoyed much bigger gains than that. I know this for a fact, because we at the Outsider Club got out far ahead of this trend. We were there months in advance, sounding the alarm for our readers. Again, this was back in July 2015. At the time, the metal had already risen from $6,000 to $7,000 per tonne. If you think I’m crowing about this, I am. We’re proud of the work we do here. And I genuinely hope you were among the investors who profited. 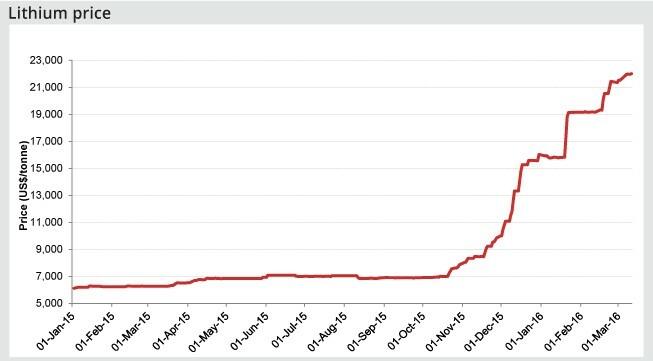 The truth is, lithium prices will continue to rise over the next several years, but they’ll do so at a much more gradual rate. The big boom is behind us. That doesn’t matter, though. If you missed out, don’t worry. Because we’ve already moved on to something else. Indeed, there’s another boom coming, and it’s going to be even bigger than lithium. Given the huge run-up in lithium prices, you may be surprised to hear that the #1 ingredient in lithium-ion batteries isn’t lithium. But here’s the thing: There’s not enough of it to go around. Currently, just 85,000 tonnes of pure carbon is produced in a year. Well, the Gigafactory battery plant that Elon Musk himself opened last year, will consume 115,000 tonnes a year all by itself. And that’s just for cars. You have to remember that lithium-ion batteries are also used in cell phones, tablets, laptops, and solar cells. The battery market is ginormous and it’s going to keep getting bigger and bigger. The lithium battery market is expected to double by 2020, soaring from $30 billion in annual sales to $60 billion. On the one hand, this is obviously great. There’s a new, rapidly-developing technology that’s making life easier for everyone. But on the other hand, this is absolutely terrifying, because the United States, itself, doesn’t produce a single ounce of pure carbon. We import 100% of what we use from China. We’re not alone, either. The UK, Europe, Japan, and South Korea are all in the same boat. China is the world’s top pure carbon producer, and it’s not even close. The country produced 780,000 metric tonnes of the metal in 2015. India was second with 170,000 MT, and Brazil third with 80,000 MT. Just look at that drop-off — from 780,000 to 170,000, to 80,000. If you add up the output of every pure carbon producer outside of China (a list that includes Turkey, Canada, North Korea, Mexico, Russia, Norway, and Zimbabwe, in addition to India and Brazil) you get just 394,000 MT — barely more than half of what China produces. Furthermore, it’s worth noting that the United States produces no pure carbon whatsoever. As I said, we import everything we use from China. 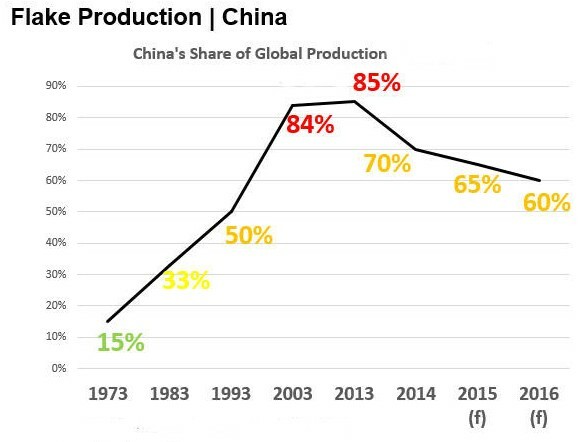 Now, China’s stranglehold has loosened slightly over the past few years, but the country continues to dominate the market to this day. Samsung, LG, General Motors, and Toyota all use China’s pure carbon to make their batteries. And Apple products use batteries made by those companies. Of course, this hasn’t really been a big deal for the past few decades. China monopolizes a cheap, dirty resource, profiting from its economies of scale, while also absorbing the human and social cost. In return, Western manufacturers get low-cost raw material for their battery technology. It’s one of the many inexplicit bargains that grows the global economy. Unfortunately, it’s all coming to an end. For one thing, China has its own battery manufacturers. These companies are set up by the state itself and intended to supply China’s own electric car and solar panel manufacturers. As time goes on, and China completes its energy build-out, those domestic companies will come to monopolize the nation’s pure carbon supply. You also have to look at the global trade picture. This is the Trump Era now. And America’s president has made it crystal clear he intends to start a trade war with China. And once he does, we can all wave bye-bye to China’s pure carbon supply. Apple, Samsung, Toyota, et al will suddenly be fighting for a shrinking supply of the must-have metal. Meanwhile, China will be content to horde what it has, stocking up for its own lithium battery factories and electric car manufacturers. Pure carbon prices will skyrocket. And if you think another producer like India, Turkey, Brazil, Russia, or Mexico is going to rush in to bail us out, think again. There is just one way out — the first new non-Chinese pure carbon mine since the 1980s. By now, you’re probably wondering: What’s the investment angle? How does the average investor profit from China’s monopoly? Out in the dense forests of Sweden, of all places, there is a brand-new mining operation that’s about to open for business. Bulldozers are already there plowing the earth away to expose one of the highest-quality lodes of pure carbon on the planet. This is huge, because, up until two years ago, there hadn’t been a single new non-Chinese mine since the 1980s. And this mine produces pure carbon graphite with a quality level so high that it comes right out of the ground in flakes that are at 95% purity or higher. By comparison, approximately 70% of Chinese production is fine or amorphous graphite while 30% is flake. Higher-grade carbon is important, because not all carbon is created equal. No doubt, carbon itself is as common as it gets, but diamonds, for example, aren’t as abundant. These pure carbon deposits are difficult to come by. And once you do find them, there is a lengthy and laborious gauntlet of permits, industry certifications, and environmental regulations a company has to run. Well, this mine in Sweden is permit-ready. And, in fact, the company that owns it is the ONLY publicly traded company with a permit-ready pure carbon mine. I’m sure by now you can appreciate how special that is. For that reason, we’ve gone all out, putting together a special report. It focuses on all things pure carbon, including this company that absolutely no one else is talking about right now. So if you’d like to find out more, if you’d like to get in on a boom that is going to dwarf the magnificent runs we’ve seen from lithium producers, you should check that report out by clicking here. You’re under no obligation to do so, of course. 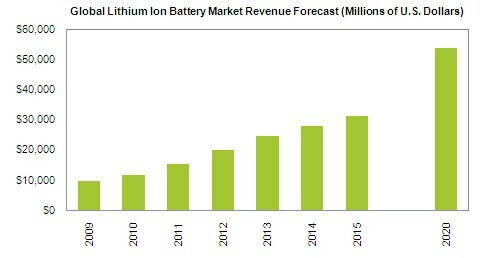 But if you’re looking to profit from the battery boom that’s been spurred by electric cars and solar cells… If you want to replicate the gains lithium achieved last year… If you want to invest in a company most investors have never heard of and few publications have reported on… Then you should take a look.